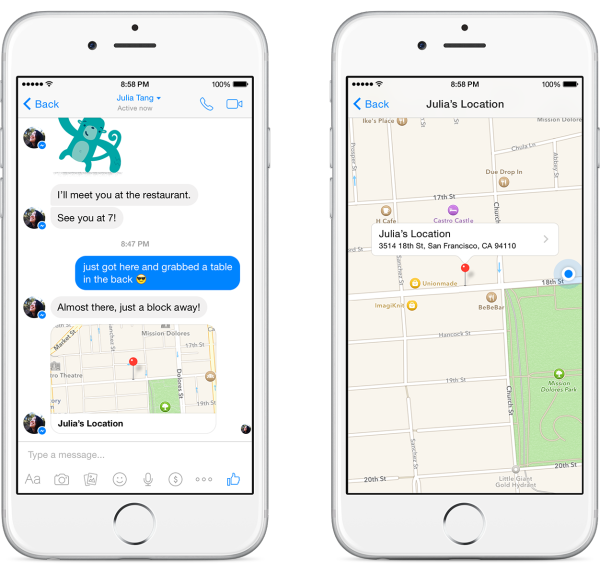 In a new update to Facebook Messenger, Facebook has given users finer controls over location sharing information. Previously, Facebook Messenger used a location toggle that was enabled by default on Android, and required a one-time permission on iOS. After allowing the app to access your location information, every message would include location details automatically. 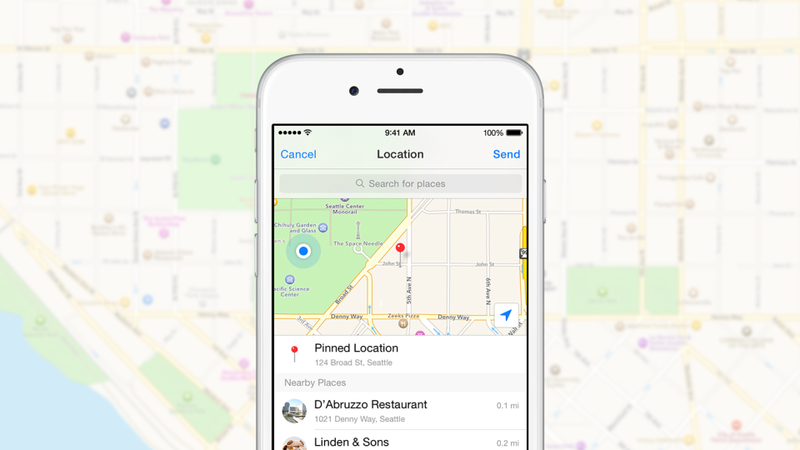 With the new version of Facebook Messenger for iOS and Android, users must choose to share their location manually. By tapping on the location pin at the bottom of the screen, users can see a map with their current location, which they can send as a separate message. Users also have the ability to drag the pin around the map, which could be useful for showing a past location or future meeting point. Facebook may be introducing the new location features to help prepare for the future. For example, the social networking giant may want to partner with other services like Uber. This would allow users to coordinate pickups from the ride-sharing company directly within the Facebook Messenger app. Facebook Messenger for iOS is available as a free download from the App Store. The app requires any device running iOS 7.0 or later and has been optimized for the iPhone 5, 6, and 6 Plus.